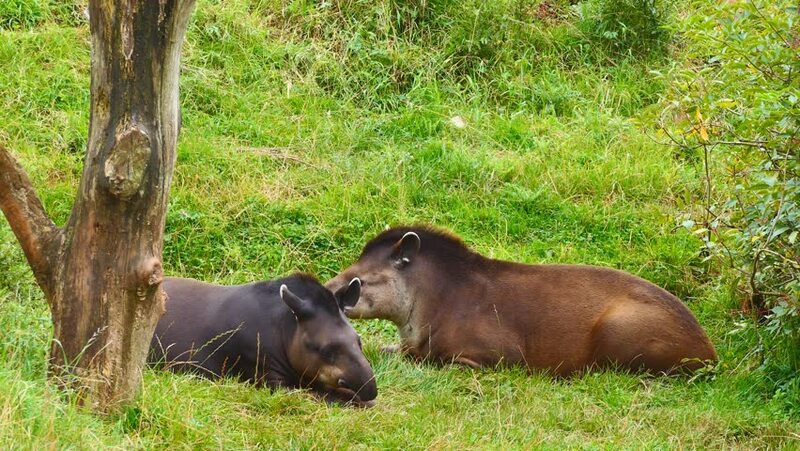 Two tapirs lie on the grass. Tapir yawns. hd00:12Raccoon (Procyon lotor) pair watch for danger in farmer's hay field, than flee in a hurry. May in Georgia. hd00:05Elephant walking slowly toward the others in the muddy river in slow motion.